LAND FOR SALE - Lot 1 - (6 Charles St.) available for sale. - 42,689 sf lot in North Reading's newest sub-division. Recent lot releases from the Town have allowed developer to sell up to 8 lots within this subdivision. We are presenting 6 Charles St.(Lot 1) in this listing, however, Lots 2 thru 8 are also available for sale. Septic designs included with each parcel. NO CONTRACTOR TIE-INS REQUIRED. Gas in the street, cable and electric underground, property connects Charles Street to Deerfield Place. Looking for homeowner who wants to build their custom home while controlling the entire building process. Minor restrictive covenants. Call broker for showings details, site info and engineering plans. Note as of January 5, 2019 two lots are under agreement within this subdivision. Great opportunity to build your custom house. You can pick everything even the builder, or we can refer one. The hard part is done...the lot has been approved and the foundation has been started, now it's up to the buyer. This location offers a wonderfully private setback on convenient Wilmington Road. You really get the best of both worlds here. A quiet private lot neatly tucked back offering instant access to the commuter rail and the Burlington T and amenities. A short drive to 128 and rte. 3, the mall, 3rd ave, the district and more! 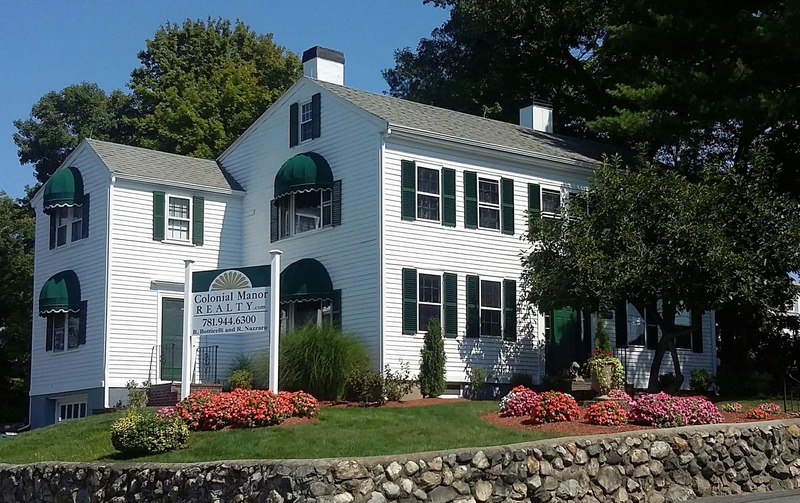 Turnkey Penthouse level condo on rear (west facing side) of building in one of Andover's premium destinations at Powder Mill Square! This well maintained unit with open concept features 9.5' ceilings in main living space and large windows allowing lots of natural lighting. The updated kitchen offers SS appliances, granite counter-tops, breakfast bar and tile flooring. The living and dining rooms have hardwood flooring and recessed lights. The master bedroom features a walk in closet, ceiling fan and private full bath. The 2nd bedroom, full bath and in-unit laundry complete the floor plan. Additional features include central A/C, elevator access, covered parking in garage under (space #29) with extra resident and guest parking available. The outdoor grounds which surround a large park-like open setting and an on site fitness room are available for residents to enjoy. Close proximity to commuter rail, shops, restaurants, library and more add to the value of this sought after property! Located on Historic Bearskin Neck overlooking Rockport Harbor and Motif #1, this lovely two bedroom condo is situated among art galleries, quaint shops, cafe's and restaurants! Watch lobstermen unload their daily catch from your covered deck and stop in next door to pick up some of the freshest seafood on Cape Ann at the Roy Moore Lobster Company. Tastefully renovated with gleaming hardwood floors, granite countertops and stainless appliances. There is also a stack washer/dryer in the unit. Front entrance is located on Bearskin Neck's main road and a rear entrance is on Bradley Wharf where Resident Only parking is available. A rare opportunity to acquire million dollar views and become part of this vibrant community! Awesome commuter location and nothing to do but add your personal touches. This 4 BR/2 BA has a super convenient location across from Greenwood commuter rail and T bus stop to Malden Center. New kitchen cabinets w/ quartz counter tops and SS appliances. In 2018, new roof, new gutters with leaf guards, new siding, new furnace and some windows, as well as professional landscaping, new stone walls and composite walkway with granite steps. In 2015, most windows were replaced, new deck built and the mudroom was totally rebuilt. The home has an open kitchen /LR combo w/ wood-burning fireplace and 3-4 bedrooms (3 BR per assessing). All HW floors (HW under carpet in bedroom, carpet to be removed). tile in mudroom, kitchen and baths. Bright and sunny mud room w/ french doors to deck. Parking for 4-6 cars in rear, on private road off Green St. (road plowed in winter) Basement offers about 8' ceiling height and walkout to yard. St Michael's School NEIGHBORHOOD! Call your friends! The Pool Parties & BBQs are right here this summer! This ADORABLE BIG Ranch has a new gas heating system! 4 bedrooms, 2 baths, an above ground pool with new pump, and HUGE KITCHEN. This neighborhood is a little side street near the Library area. Located close to schools, restaurants, shopping, coffee shops it's a commuter's dream. The home is comfy from top to bottom with an Oversized eat in kitchen packed with cabinets and lots of storage, counter space plus room for a large dining area. You'll love having a mud room with dutch door ! Main floor has 3 bedrooms plus full bath. The lower level has a family rom, 4th bed, bath with *shower * plus storage, laundry room and cedar closet. The yard has lots of sunny space, a mahogany deck perfect for barbecues, sun bathing, lounging with lemonade. The fenced yard has room for a garden, swingset!